Over the years we have discerned what constitutes the ideal applicant for an undergraduate degree at one of the world’s leading universities: the very top students are not only quietly and methodically helping themselves to amass the highest number and best possible combination of qualifications to secure a place but also equipping themselves with the relevant knowledge to excel in today’s incredibly competitive environment. At AGF Tutoring we strive to impart that pedagogy to realize the attainment of that elusive place at a world-leading university. Besides delivering stellar results, as corroborated by our track record, we also seek to inculcate paideia (παιδεία) – as termed by the ancient Greek philosophers – the ability to adapt to any intellectually challenging task, the competence to apply one’s acquired knowledge in other contexts, and most of all to communicate and debate effectively with other like-minded individuals. This, essentially, is what the great universities are looking for in their ideal applicants. The ideal student is always striving for excellence, is always trying to ameliorate his or her knowledge skills. Simultaneously, ideal students are loath to wasting time, and indeed there is no time to waste. We at AGF Tutoring will make absolutely sure that you do the relevant work, in the relevant order at the relevant time to optimize your chances of attaining that place at the highest ranked university of your choice. Many of the most successful students have naturally worked extremely hard – this goes without saying – but they have all done a lot more than what was expected from them as far as entry requirements were concerned. The majority of AGF Tutoring students prepare as fully as possible for universities in multiple countries to optimize their chances. For example, many students who wish to study Engineering will sit the Mathematics and Physics GCE A-levels, as well as the SAT/ACT and the SAT Subject Tests in Math, Physics and Chemistry. By doing so that student will be able to apply to the best UK and US universities and concurrently enhance his or her chances of securing a place. 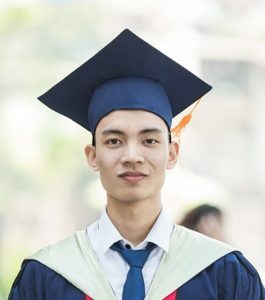 Furthermore, the GCE A-levels contribute to college credits in the US; in the UK, many Russell league universities are placing more credibility and emphasis on additional qualifications such as the ACT and/or the SAT. Consequently, by preparing for these examinations you are automatically in a win-win situation. At AGF Tutoring we are proud to say that the students we have tutored have not only emerged with amazing results but have also enjoyed themselves in the process, gaining incredibly important personal skills. Every AGF Tutoring student develops into an individual who can confidently express himself or herself in excellent academic English, whose analytical and critical faculties are acute, and whose general knowledge is well beyond the scope of any set syllabus. Most of the top universities, such as Oxford, Cambridge, Imperial, and the Ivy League universities, as well as many other eminent institutions, interview prospective students. Much emphasis is placed on these interviews and past experience has illustrated that it is not enough to have an incredible set of examination results; it is also important to be a well-rounded individual who will fit into the student community at a top university. We at AGF Tutoring mentor prospective students through the mandatory interview processes, encouraging them to read the most appropriate academic texts, and to keep up to date with current affairs and debates via the most respectable publications, such as newspapers, journals and blogs. If you are interested in aspiring to be an ideal applicant then please book your free introductory session with one of our head tutors who will further advise you as to the most appropriate programme and assign you the most suitable mentors, tutors and consultants.